The British rock band Coldplay brought their 'A Head Full of Dreams Tour' to the Mall of Asia Concert Grounds in Manila, Philippines on Tuesday night, April 4. Just like other fans, some celebrities didn't miss the chance to watch Coldplay's concert. 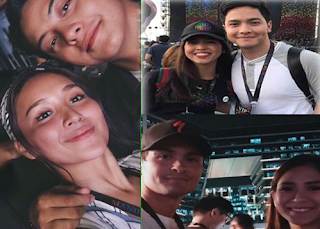 And here are the celebrities who attended the concert last night.